True and passionate travelers are always eager to explore something new and exciting. Our Belize journey “14 days for ambitious travellers” is a special trip for those who aspire to explore Belize, learn about the different ethnic groups, history and culture as well as the enjoyment of the Caribbean Sea. During this educational and adventurous journey you will visit a great selection of highlights of Belize. caving, jungle walks,tubing and swimming are part of the deal. Yes – so why hesitate. Just book and jump on board. Why joining one of our “Belize journeys”? Any complete journey through Belize with “The Green Valley Inn” offers a great amount of adventure, cultural education and fun. The big thing is: You can travel without worries. We take care of everything. This starts with an excellent designed program; very well educated tour guides, includes advanced equipment and ends with great locations for overnight stays and good food. You have nothing else to do as enjoy your vacation and concentrate on the top highlights during the tour. Do not hesitate, book now. This tour is planned very effectively and crompehensive to create optimum enjoyment. Below you can find the detailed schedule. 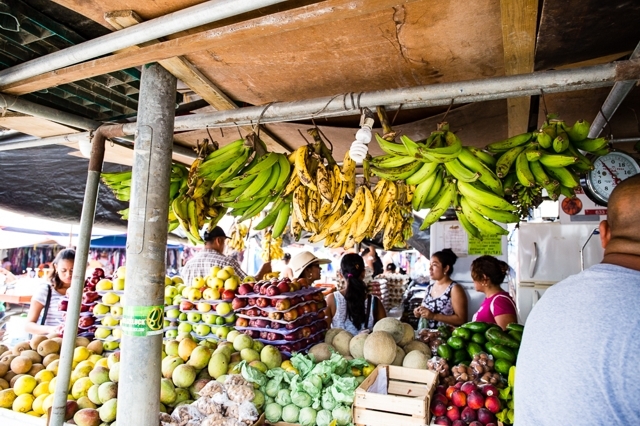 We have breakfast at the market in San Ignacio. Every Saturday is market. The wide variety of ethnic groups in Belize meet here, offer their goods and products and enjoy this morning as a social event. 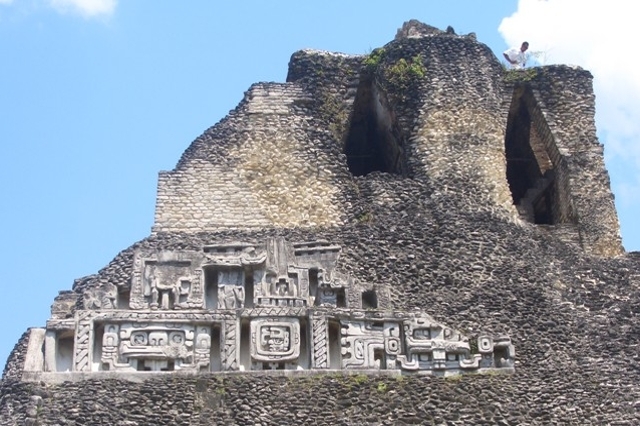 Afterwards we explore the ruins of Xunantunich – one of the most important ceremonial sites of the Maya classical period. After a swim in the Macal River, a stroll through San Ignacio and a cold drink in town, we head back to the lodge. After breakfast we drive west to beautiful Black Rock Valley. We hike through original jungle to a platform where we have a wonderful view over the rainforest and down to the Vaca Falls. This is an amazing place for bird watcher also. 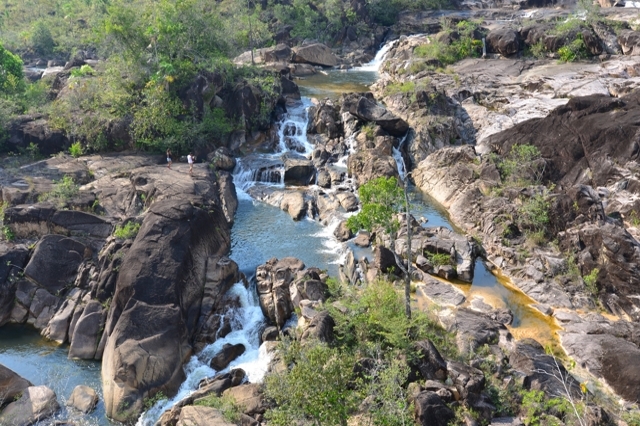 Afterward you will enjoy tubing down the Mopan River from Clarissa Falls to Carla Creek. After Breakfast we drive on an adventurous road to the famous Mountain Pine Ridge. The first adventure for today – the Zipline – awaits you after about 45 minutes. We glide through the tree tops of the jungle, fastened to two steel ropes. The tour consists of 15 platforms and we have about 90 minutes to enjoy this adventure. Afterwards we visit the Green Hill butterfly farm. 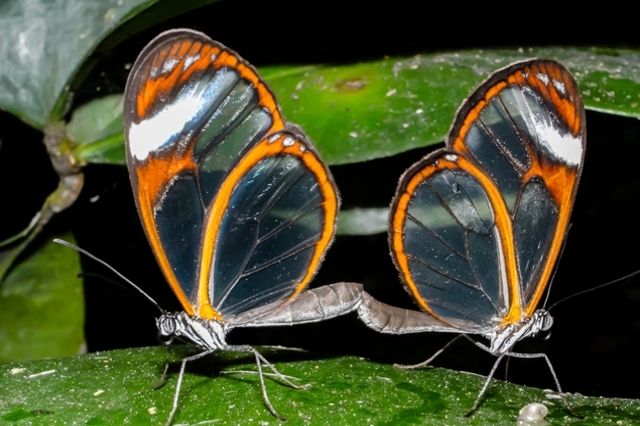 You can see beautiful butterflies of Belize and learn about their live cycle from egg to different caterpillar stages, then pupa and finally butterfly. In the early afternoon we reach Big Rock waterfall. You can climb the roccks and bathe in the crystal clear water. After breakfast the next adventure is waiting. 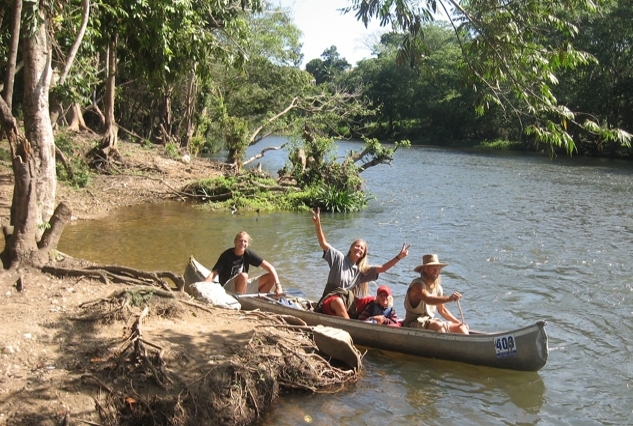 We will go on a canoe trip to the Belize River. We have different distances to offer. Depending on your fitness the tour will last between 3 and 6 hours. 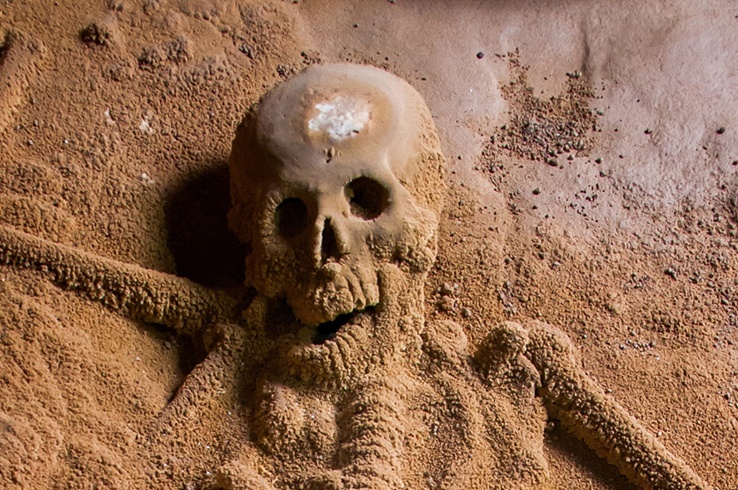 Today we visit and explore the secret Maya ceremonial place Actun Tunichil Muknal. Hidden in the jungle is ATM certainly one of the main attractions, if not the very attraction in the west of Belize. We swim into the entrance of the cave system. After about 1 mile river walk and climbs over rock formations we arrive in the main hall. Centuries old handicrafts, skulls and skeletons convey impressions of old Maya ceremonial practices. After an early breakfast we drive to the Baboon Sanctuary, where we will observe the Howler monkeys in the wild. The next stop is a visit in the Belize Zoo, the only zoo in the world that is home to only indigenous animal species. But the Day has more to offer: The exploration of the cave system Jaguar Paw hidden in the jungle is certainly one of the main attractions of Belize. After a dip in the crystal clear river, we jump in our tubes and drive through a several-mile-long cave system. Today you experience a very interesting cultural mix of modern Mennonites, fundamental Mennonites, Belize and Maya. After breakfast we will visit Spanish Lookout, the best developed Mennonite settlement in Belize. 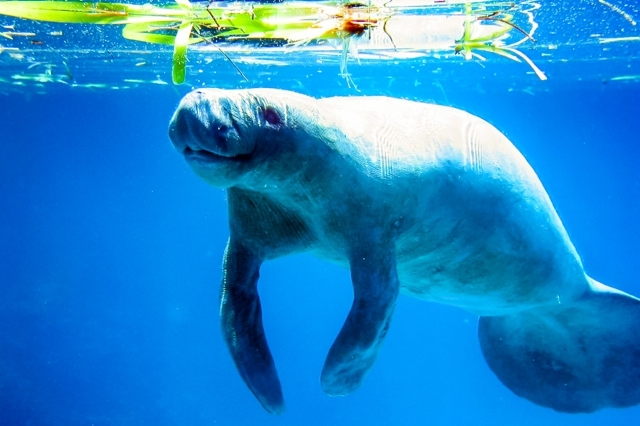 You will encounter a Belize what you did not have seen before. After an interesting drive through a settlement of the conservative Mennonites and a river cross with the car we finally reach our next target: Barton Creek cave. We explore the cave with a canoe and we will find traces of Maya holy activities and scarify rituals. Let us take a break and get a bit of Caribbean air. We drive Belize City for the Water Taxi to Caye Caulker. Before we get to the island, we take a city tour through Belize City. Overnight stay in Tree Tops Guesthouse or similar. These Days are available for individual use. Relax, go swimming, snorkeling, dive or visit the neighboring island of Ambergris Caye. Early in the morning we return from Caye Caulker. From Belize City it goes north to Lamanai. Lamanai is one of Belize’s major Mayan ceremonial centers. In addition to the exotic backdrops of the ancient Maya in art and architecture, Lamanai (submerged crocodile) was also one of the longest populated Maya cities ever. On the arrival of the Spaniards there was still lively activity, which lasted until the 19th century. The ancient city is not all for the Day – the journey by boat over the New River is a highlight in itself! After breakfast we drive over the beautiful Hummingbird Highway south to the sea for visiting the Garifuna town of Dangriga Dangriga. 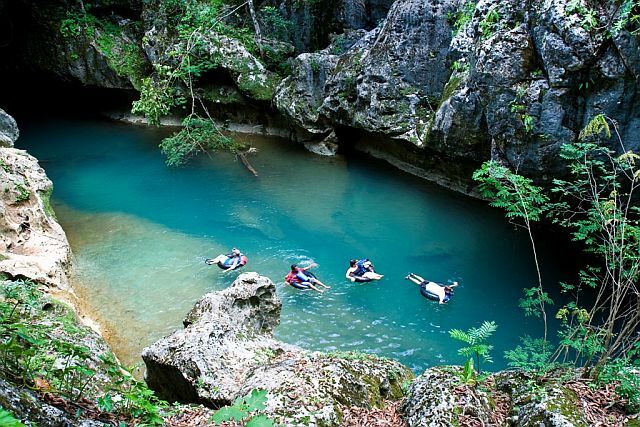 On the way we bathe in the Blue Hole, stop for a jungle hike through the Guanecaste National Park and visit the capital Belmopan. In the evening a barbecue in The Green Valley Inn is waiting for us. Unfortunately the adventure is over. As always, the time did fly far too fast … but no chance: after the breakfast you will be transferred to the international airport or the connecting program.